Bright, contemporary, beautifully maintained Edgewater Beach 2 bedroom 2 bathroom condo has it all. 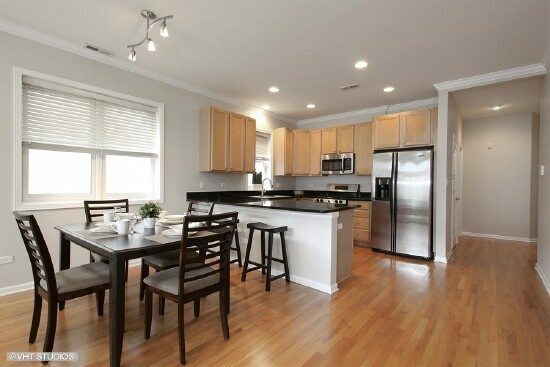 Hardwood floors, plantation shutters, granite countertops, stainless steel appliances & maple cabinets. 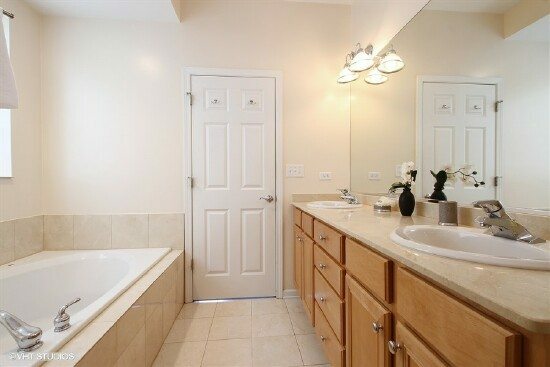 Master suite boasts a large walk in closet, marble tiled bathroom with double sink, Jacuzzi tub and separate shower. 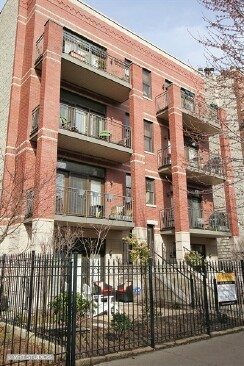 In unit washer and dryer, fireplace, private balcony with gas hook up. Gated parking included. 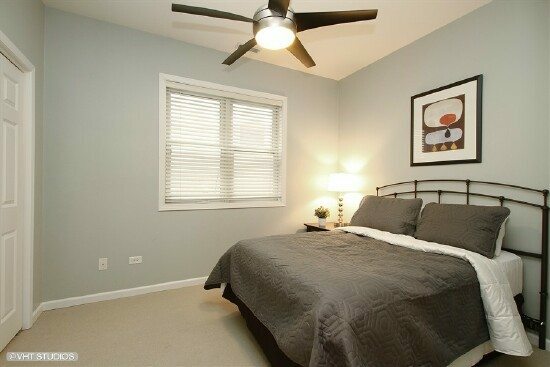 Close to Berwyn Red line stop, restaurants, walk to Foster Ave Beach. 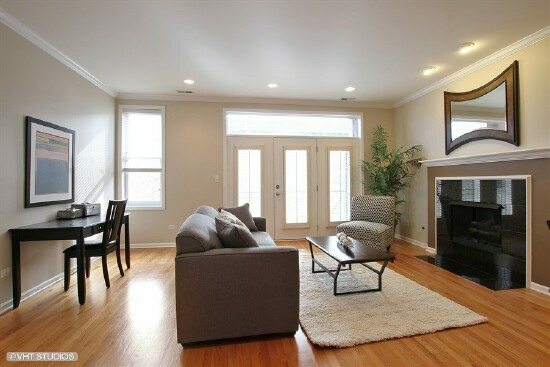 The bright and cheery living room includes a fabulous fireplace, recessed lighting, crown molding and your private balcony is just past the French Doors. 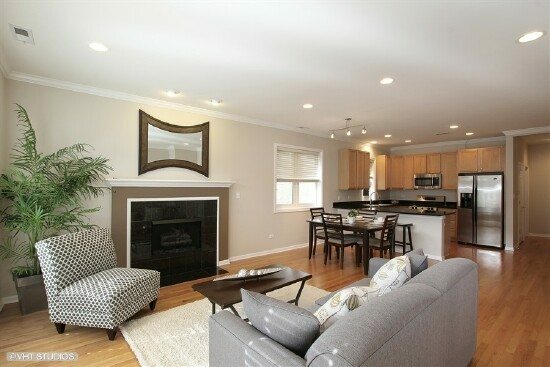 Are you looking for an open layout to entertain? You just found it. The open lay out is very functional as well. 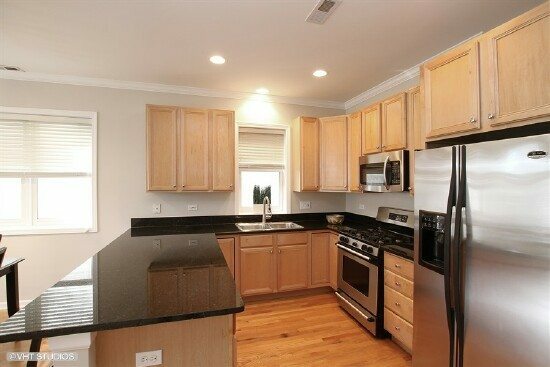 Everything you want in a modern kitchen, including a breakfast bar, granite counters and stainless appliances. The large master bedroom includes a walk in closet and in suite master bathroom. An elegant and modern master bath has a double sink vanity, jetted tub, separate shower and marble tile. 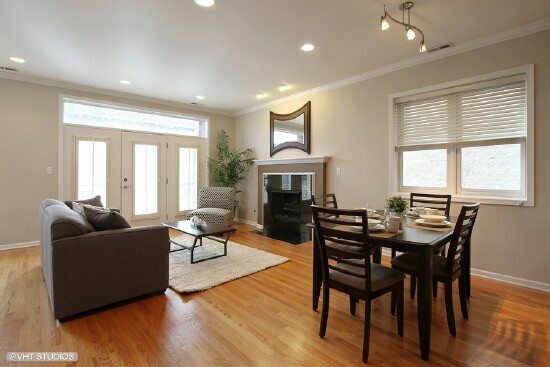 All rooms have great natural light, tasteful appointments and neutral paint. 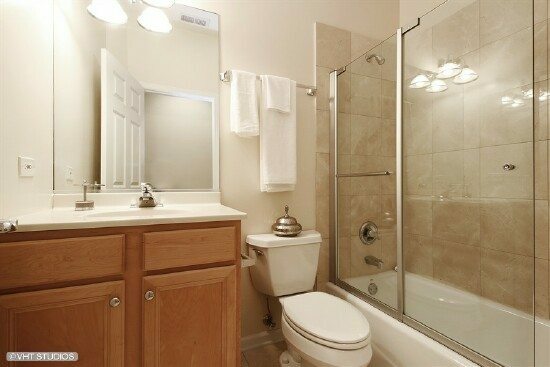 European style shower doors and fixtures highlight this full bathroom with neutral décor.